Next month, there will be two eclipses: a full moon eclipse on August 7th in Leo and Aquarius, and a New Moon eclipse on August 21st in Leo. The August 21st eclipse will be a total solar eclipse visible in the US. This article is an astrological interpretation of what these eclipses mean. To begin with, anyone reading this can research the following planetary placements and figure out for themselves what people say they mean: you can research “Sun in Leo, Mars in Leo, Moon in Aquarius, Venus in Cancer, Sun conjunct Mars, Sun sextile Jupiter, Sun quincunx Neptune, ect.” and find a basic foundation of info for what these things mean. Interpreting the eclipse is putting all these pieces together: and truly feeling for oneself what is accurate and inaccurate. As I mentioned in my last astrology article about August as a whole, I think this month is finally the turning point after a long, hard year and a half or so of depressed, difficult energy for everyone. Studying astrology for the past several years, I’ve been slowly learning about what an eclipse really means. Astrologers theorize that an eclipse kind of solidifies an energy in the air for an extended period of time: that wherever an eclipse occurs, however it aspects the other planets and stars, that energy of the eclipse’s peak is solidified in the air on Earth for some unknown period of time afterward. I have tested this theory (as with testing the accuracy of other components of astrology), and it seems to be like this: the more exact an eclipse is, and the more exact the planetary aspects made to the Sun and Moon during the eclipse (for example, Sun and Moon square Saturn during the March 2016 eclipse, or Sun and Moon trine Uranus during the 2017 eclipse), the longer the eclipse’s energy is solidified in the air on Earth. And by solidified in the air, I literally mean the feeling at the peak of the eclipse continues, on and on, in the atmosphere, in people’s energy and feelings, for several months after the eclipse. I wasn’t sure that the energy of the eclipse would stay stuck in the air that long after an eclipse, before 2016. Then, after the Total Eclipse of March 8, 2016, and the eclipse in September 2016 that locked into ultra malefic aspects, I realized the effect of an eclipse absolutely can solidify in the air for an extended period of time. This was the eclipse of March 2016. It squared Saturn: a Saturn square is one of the most harsh, depression causing, inspiration crushing aspects in all of astrology. It also locked into the once every 10 year Jupiter square Saturn, an absolutely brutal aspect. Guess where the next solar eclipse occurred, in September 2016? Also square Saturn: locked into the extremely brutal, once every 18 year aspect Saturn square Neptune. This eclipse was so powerfully malefic, I truly believe it made the several months following it brutal for people. Not only that, but if an eclipse occurs on a certain spot in your personal astrology chart, such as an eclipse on your Mars, it can bring out that aspect of you for a few months: for example, if an eclipse happened on your Mars, you might feel your fire and energy rise to the surface in you for a few months. If an eclipse happened on a generation’s Neptune placement, their spirituality might all rise up at once for a few months, and they may all feel a wave of energy at once. I will get the ultimate test of what an eclipse does in a week and a half: at that time, an eclipse will occur exactly on my Sun and Moon in Aquarius and Leo: but the peak of the eclipse is so precisely aligned with my Sun, that it is only 0.08 degrees off: the eclipse is at 15.25 degrees Aquarius and my Sun is 15.33 degrees. So what might happen to me? I might get a blast of my own core energy, the thinking, learning energy of Aquarius, and I might feel my own core identity become dominant in my personality for a few months. As for everyone else, this is my interpretation of what the eclipse will do. The best way to look at it is in pieces, aspects, and then the full picture of the eclipse is all of these aspects combined. The eclipse actually makes an astrological configuration called a “Yod,” or a “Golden Finger of God.” That’s where two planets are opposing, and one of the opposing planets makes quincunx aspects to two other planets, forming a shape like the green dotted lines in the chart above. A quincunx is a neutral, slightly positive aspect that simply fuses together two energies and mixes them. In this case, the equation is Sun and Mars in Leo mixing with Neptune in Pisces and Pluto in Capricorn. It translates to a warm, energized, human Leo energy that is filled with heart, spirituality, concern for humanity, and deep watery Piscean things. The Leo- Pisces quincunx is a particularly nice one, because when you fuse warm Leo energy with selfless, heart filled Pisces energy, you essentially get a warm (Leo) heart (Pisces). When you add Pluto in Capricorn to the mix, it serves to add an intensity to it (as does Mars), and a serious Capricornian feel. So this configuration suggests a warm, fiery, masculine and determined (Sun conjunct Mars in Leo), solidification (Eclipse) of the desire to feel heart, feel empathy for people, and have concern for the future (Pisces), which may shed previously held ideas and change people with a serious tone of energy (Pluto in Capricorn). Now here’s another huge sign that this eclipse is a positive, and not negative omen: it makes positive aspects (sextiles and trines) to the “positive planet,” Jupiter. If that isn’t a good omen, I don’t know what is. So with Sun/Mars sextile Jupiter in Libra and the Moon trine Jupiter during the eclipse, a massive, positive, just generally good feeling energy will guide people through the experience and give people a foundation to pursue what the purpose of the eclipse seems to be, which is found in Leo-Pisces. I think this eclipse is an omen of increased empathy, increased concern for other people, increased interest in the nature of life and spirituality, ect. Leo has a unique obsession with understanding the nature of life and this existence, and so do Aquarius and Pisces. However, Leo is focused on the self when it comes to this pursuit of truth, whereas it’s opposite Aquarius is focused on humanity as a whole and not the self. Pisces is very selfless like Aquarius, so the Leo/Aquarius/Pisces mix is a perfect one, that adds warmth and common sense to the humanitarian, nature-of-this-reality-pursuing energy of Aquarius and Pisces. Aquarius and Pisces lack the warmth and common sense that Leo has, so when you mix it all together, you get a really strong equation for growing empathy and growing a desire to learn about the nature of this life and reality. Astrologers don’t know much about the dwarf planet Orcus, but knowing it’s astronomical qualities can help determine what it might mean. Another thing that suggests the eclipses are about heart and empathy, is the fact that Venus is in Cancer, the sign of emotions and family, for the duration of the eclipses. This is the second eclipse: August 21. Now here is my interpretation of the second eclipse on August 21: a New Moon eclipse at the end of Leo. It’s a Solar Eclipse that will actually block the Sun in the United States, an astronomical phenomena that many have been looking forward to. First of all, this eclipse occurs at a “hotspot” of Leo energy: a particularly strong flavor of Leo, because the end of Leo is where the bright blue star Regulus resides. 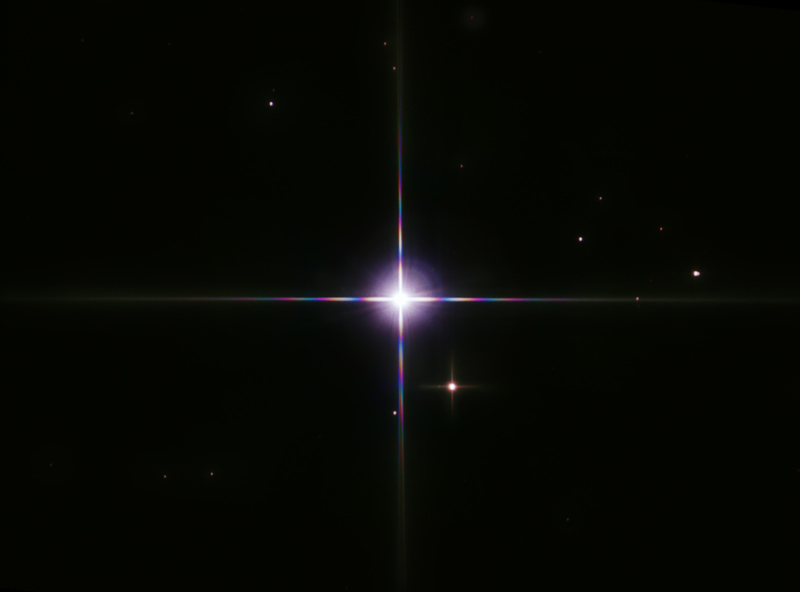 Regulus has been revered for millennia, a star that can actually be touched by the planets because it’s the closest bright star to the ecliptic plane, the belt of all planets. Sometimes, the Moon actually “occults” the star Regulus, fully aligning with it. Regulus has a revolutionary, bold, fiery quality to it. It’s a warrior star, an energy that is very headstrong and potentially righteous. Another energy that is extremely headstrong and (potentially) righteous is Uranus, especially in fiery Aries: and the most exact aspect this eclipse makes is a strong, positive trine to Uranus in Aries. 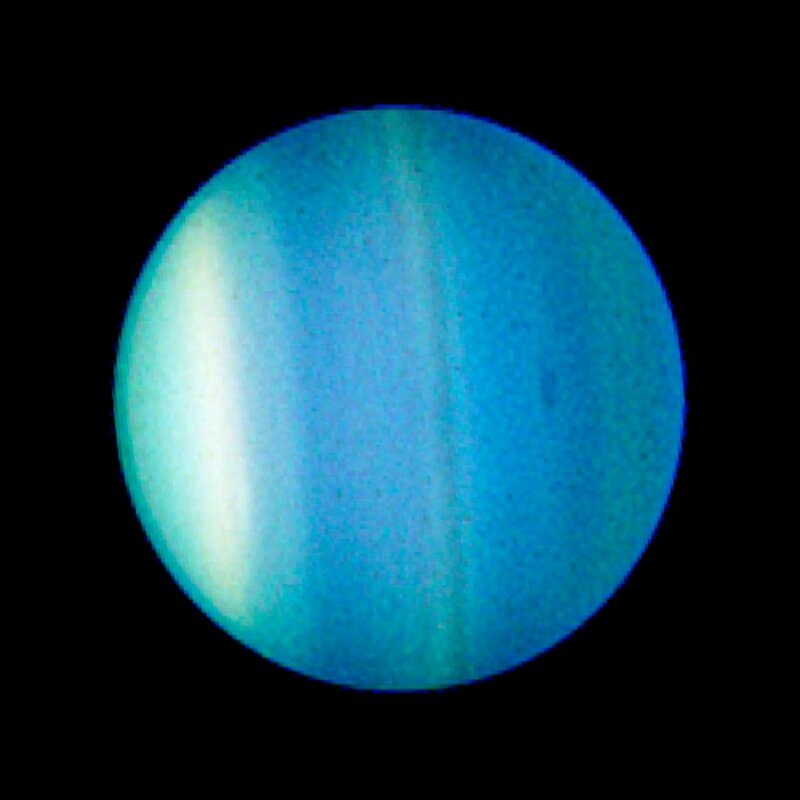 As the first eclipse was in Leo and Aquarius, the second one is trine Aquarius’ planet, Uranus: thinker, revolutionary, unique energy of Uranus and Aquarius are the dominant theme in these eclipses. Fiery thinker energy. Now, it must also be noted that people in the world who are lost or confused will feel the headstrong, electric, inspired energy as well: so people will all feel energized at once, and those who are misguided will feel the energy for perhaps a misguided purpose, while others may feel the inspiration for a better purpose. It’s everyone on Earth feeling the energy at once in their unique ways. This is an extremely clear sign of revolutionary, warrior energy: this eclipse will solidify an inspiration in people, a revolutionary conviction, a headstrong energy, an electric, thinking, learning energy in people that is lit on fire. Surely certain powers in the world will try to utilize the energy to create chaos and frustration as well. Similar to 2014, when the eclipses in Libra and Aries occurred in conjunction to Uranus, a very inspired, electric, thinking fiery energy will be stuck in the air for an unknown period of time after the August 21st eclipse. The first eclipse will, in a fiery and strong way, open people up to their feelings more, and promote empathy, emotion, thinking about the nature of reality and existence. The second eclipse will instill fire and electricity in people: a bold willpower, rejuvenated inspiration and energy, a warrior-thinker energy that will inspire everyone from good people, to bad people, to clear minded people, to confused people. What you learn when studying astrology for years is this: the way the planets move, the locations of eclipses, these things occur in extremely fateful, precise, unlikely and synchronistic aspects. It’s not likely that the March 2016 total eclipse would exactly lock into the most important outerplanetary aspect occurring at that time, Jupiter square Saturn. It’s not likely that the eclipse of September 2016 exactly lock into the same aspect, and lock into the next most important (malefic) aspect of 2016, Saturn square Neptune. So knowing that, it isn’t every eclipse that locks into the most important, once every 20 year aspects in the sky, so that gives us a feel for how important the eclipse is. If an eclipse doesn’t really do interesting things, doesn’t happen in some synchronistic or unusual way, that’s a sign that it isn’t as significant as other eclipses. But even if an eclipse isn’t unusual, it still seems to solidify some kind of energy in the air for months at a time: I believe an eclipse truly sets the tone for the next period of time, until the next eclipse. To learn more about astrology or book a reading like this, follow Tryptamine Astrology here.